Surveilstar can be used as centralized computer maintenance system to manage and control software and hardware assets. Besides, device control policy is available to forbid the usage of the unwanted devices. Good computer maintenance habits can keep your computer away from trouble and enable you to use them under a perfect performance. Computer maintenance sounds like a complicated issue since both hardware and software problems are involved. As an employer, have you ever thought about hiring a professional for computer maintenance? Actually, you don't need to. With SurveilStar, maintaining computers is as easy as falling off a log. Do you want to know what software they installed? What system services they enabled or disabled? Did they plug in USB device to copy files? Did they burn confidential documents to DVD? SurveilStar’s is a great assistant to help administrator and supervisor to maintain the computers. You can view their computer names, IP addresses, MAC and more, disable devices, check and manage their hardware and software assets, end processes or programs, stop system service and file sharing, check PC performance, check disk usage, remotely lock, shutdown, log off or restart the computers, remotely transfer files and set up remote control connections. 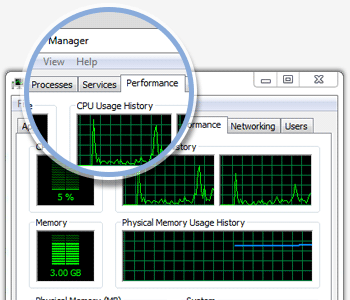 You can view real-time PC status, inicluding running applications, processes, PC performance, device manager, services, disk management, shared folders, scheduled tasks, users and groups, softwar	e management, remote control and remote file transfer. Employers want to prevent copying or burning any files. 1. first set a policy by choosing "block" mode. 2. click ... button on the right of device policy, choose all storage devices and USB CDROM, USB storage and USB HardDisk under USB device list. If you only want to protect some confidential files, you can use Document Policy instead.